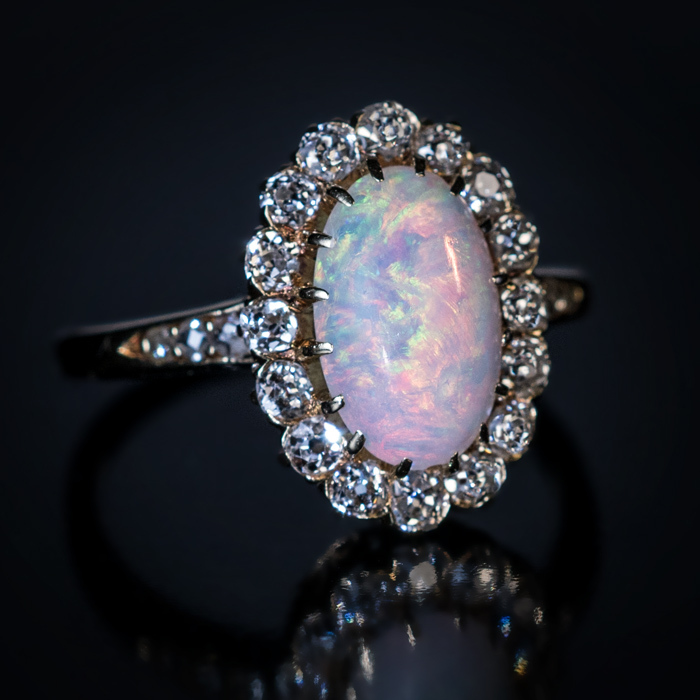 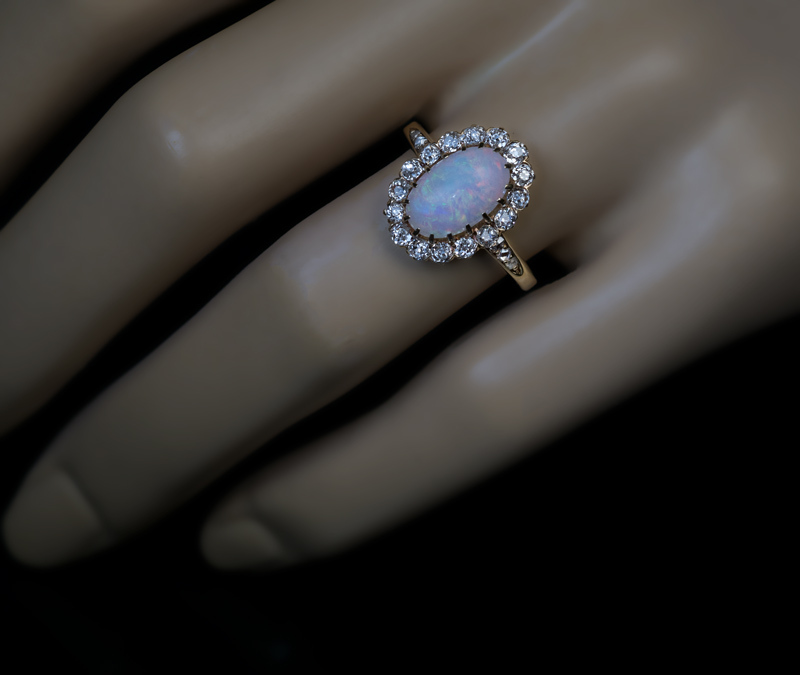 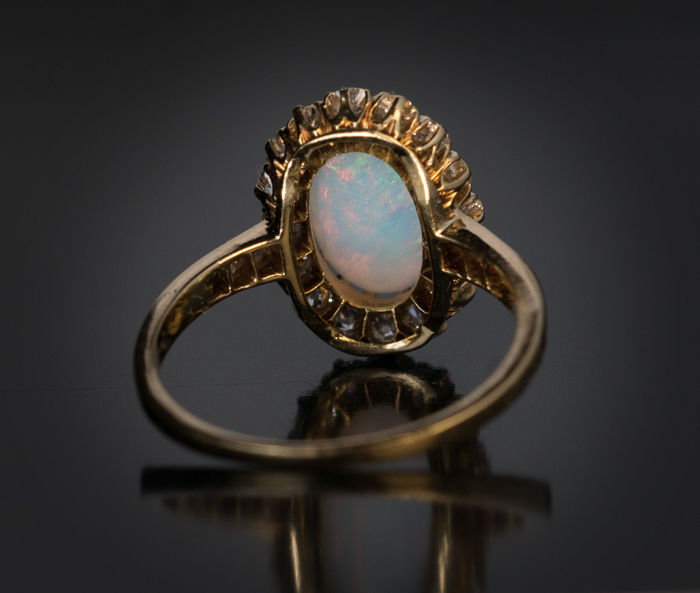 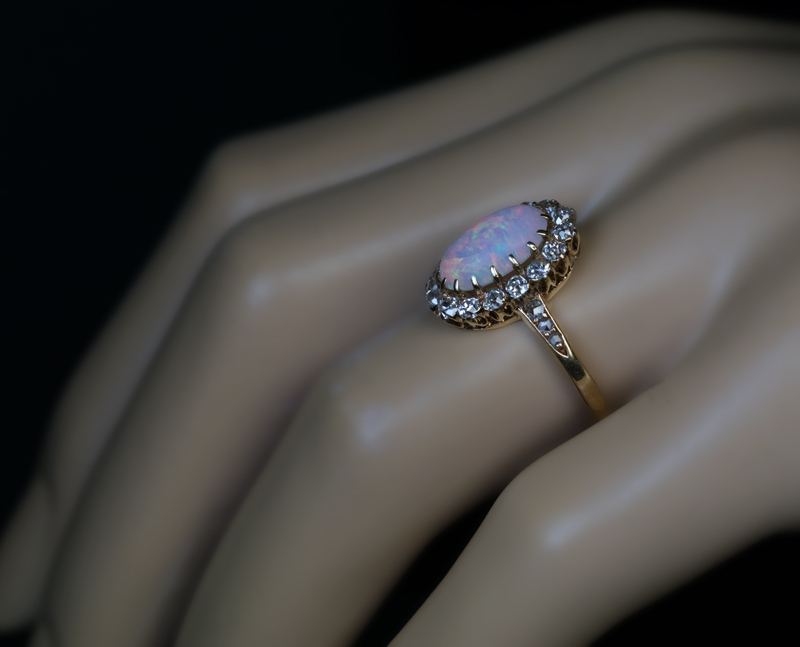 This delicate antique 18K gold ring features a cabochon cut opal (approximately 1.64 ct) surrounded by sparkling old mine cut diamonds. 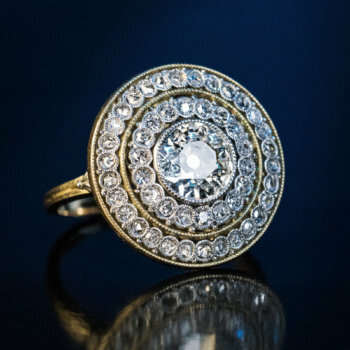 The shoulders of the ring are embellished with graduating rose cut diamonds. 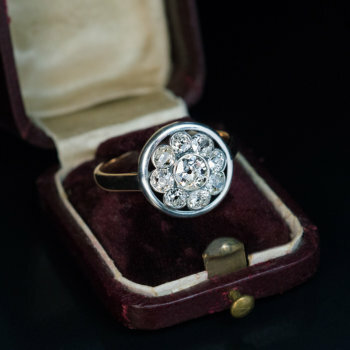 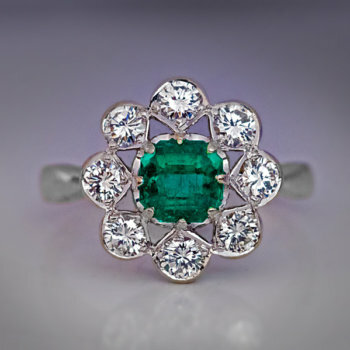 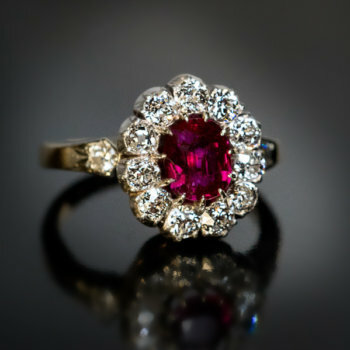 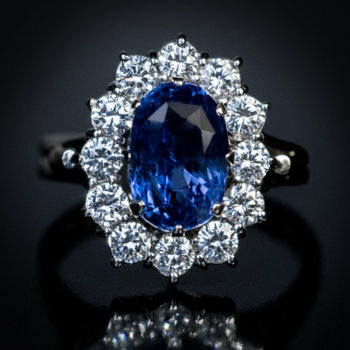 Estimated total diamond weight is 0.78 Ct.